A birth pool makes it possible for all women to experience the benefits of using water for their births. Immersion in a large pool of water is proven to make labours faster and easier. 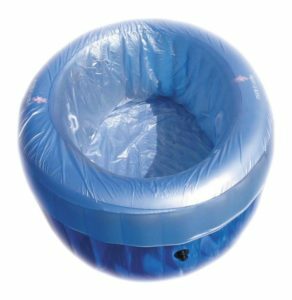 This type of birthing tub is easy to setup, easy to use and comfortable. We aim to provide the most comfortable and safest birthing pool and birthing tubs at a reasonable price. Whether you’re choosing to birth your baby in the tub at home, or simply use it for comfort in labour before you go to the hospital, you will love the relief water can provide you. If you’re ready to book now, please contact us right away! Tubs are booked weeks in advance, so be sure to book early to avoid disappointment. To find out more about our tub rentals or to book yours today, call us at: 905-995-3852. Contact us for pickup and drop off dates and times.